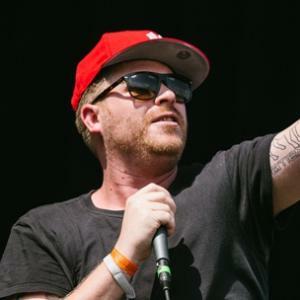 El-P was born as Jaime Meline on the 2nd March 1975 in Brooklyn, New York, USA, and is a hip-hop recording artist, executive, and producer, best known as a former member of Company Flow, while he is also a member of the hip-hop duo Run the Jewels, alongside Killer Mike. El-P’s career started in 1993. Have you ever wondered how rich El-P is, as of early 2017? According to authoritative sources, it has been estimated that El-P’s net worth is as high as $3 million, an amount earned through his successful career as a hip-hop artist. In addition to performing, El-P has also collaborated with many fellow rappers, and produced numerous albums and tracks which have improved his wealth. El-P was a son of jazz pianist Harry Keyes and grew up in Brooklyn where he got involved with hip-hop from an early age. After having problems with authority, El-P was expelled from several schools, so he decided to quit and pursue a musical career. He met Mr. Len, who worked as a DJ at El-P’s 18th birthday; the two quickly became friends, and soon after, they formed Company Flow in 1993. Later that year, Bigg Jus joined them, and in 1996 Company Flow released their debut EP entitled “Funcrusher”, which was a success, so Rawkus Records approached them and they signed a deal with the label, releasing the full studio album “Funcrusher Plus” in 1997. The Company Flow recorded an instrumental album entitled “Little Johnny From the Hospital: Breaks & Instrumentals Vol.1” (1999), but later decided to leave Rawkus, before in 2001 dissolving to pursue solo careers. El-P founded his own record company called Definitive Jux, and released his first solo album “Fantastic Damage” in 2002, which reached No. 198 on Billboard 200, No. 9 on US Top Heatseekers, No. 14 on US Independent Albums, and No. 82 on US Top R&B/Hip-Hop Albums. In 2007, El-P recorded his second studio album entitled “I’ll Sleep When You’re Dead”, which debuted in 78th place on Billboard 200, selling over 11,000 copies in the first week. His third and latest album – “Cancer 4 Cure” – came out in 2012, but wasn’t as successful as its predecessors; still, it helped El-P to increase his net worth significantly. In 2013, El-P and Atlanta-based rapper Killer Mike formed a duo called Run the Jewels, and released their self-titled album in June that year. In 2014 they recorded “Run the Jewels 2” while in December 2016 they released “Run the Jewels 3”. El-P has also collaborated with notable fellow hip hop artists such as Aesop Rock, Evil Nine, Mr. Lif, Prefuse 73, DJ Krush, Mike Ladd, The High and Mighty, Atmosphere, Techno Animal, and Jedi Mind Tricks. Regarding his personal life, El-P and long-time girlfriend Emily Panic are rumoured to be planning marriage sometime in 2017, yet to be confirmed. He currently lives in New York City. Fist Fight 2017 writer: "Lie Cheat Steal Instrumental"
Battlefield Hardline 2015 Video Game producer: "Oh My Darling Don't Cry" / writer: "Oh My Darling Don't Cry"
Something from Nothing: The Art of Rap 2012 Documentary writer: "Bee Aware"
Fling 2008 performer: "Flyentology Cassettes Won't Listen Remix" / writer: "Flyentology Cassettes Won't Listen Remix"
Tony Hawk's Proving Ground 2007 Video Game performer: "Up All Night"